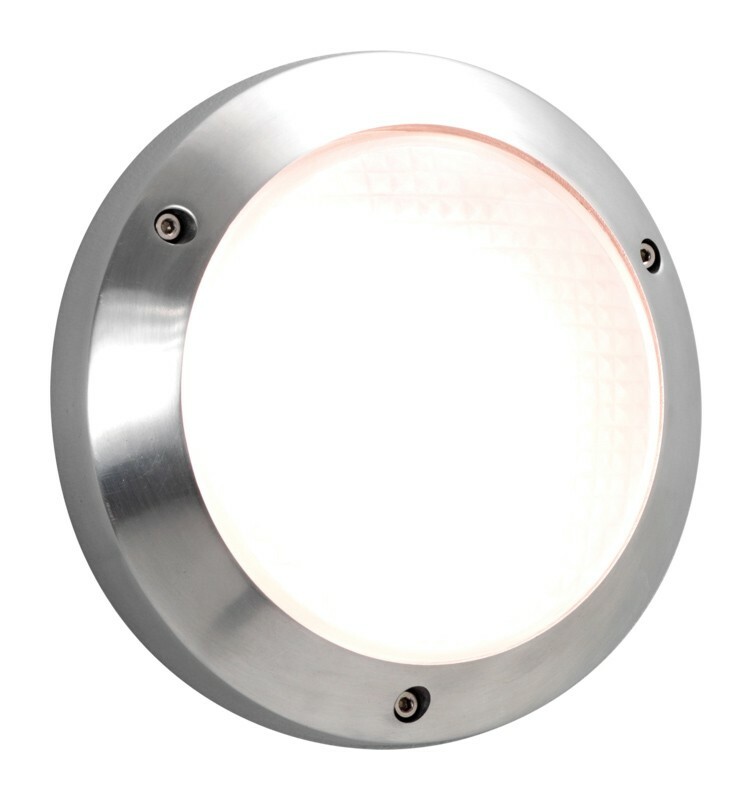 A striking, circular exterior wall-light that can also be mounted on a ceiling if required. An attractive acid¬†etched glass diffuser with polished aluminium surround creates a smart and modern first impression. Ideal for illuminating a door or entrance way, this attractive piece is perfect for lighting your way home. This IP65 rated exterior wall-light uses a G9 lamp and looks so effective and stylish on patios, building entrances and pathways. It's also very effective when used internally for that slightly more robust and industrial look.